Only one icon does not change (gnome-monitor). 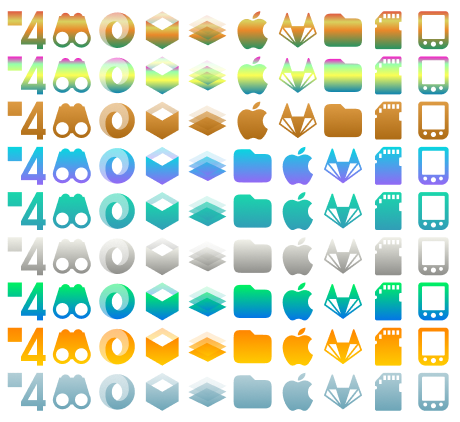 Hi rgoomes, I have just upgraded the icons, increasing from 2,2k to 4,7 icons, see if this upgrade fixes or not your KDE. If not, please, use Stacer to clean icons cache, log out and log in. - Wish the smaller sized icons either use the default, or the smaller sized version of the Suru icons. Please replace the grey-scaled versions. 2 of that status icons that I have, Skype and Discord, have disappeared. They both are Snaps, but I'm not sure if that's the reason why they have disappeared because Clementine is still there. The nsap-built apps are hard-coded and the desktop files are locked and stored in the snap partitions. You need to copy the desktop files from snap partition to your_name/.local/share/applications and to remove them from snap folder. Then you need to modify "Icon" in the desktop files with text editor. 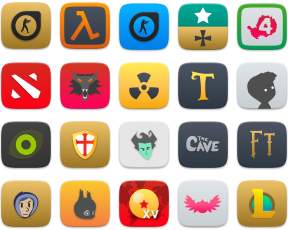 As for general feedback, I'd love to see the smaller icons to retain their look and color. It's so weird to have them totally greyed out. 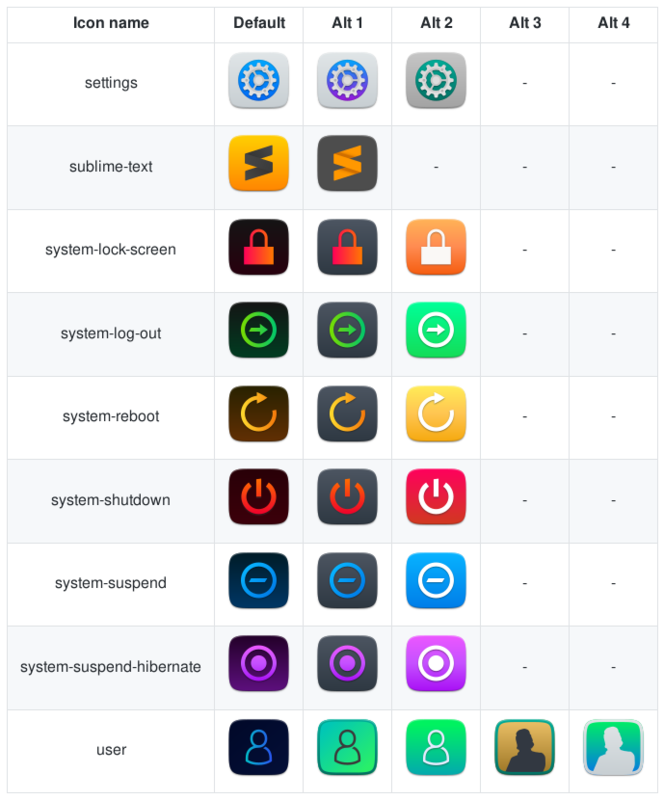 This icons theme is for light environments. Once the icons theme's next version is ready, I will upgrade Suru++ Dark. Hi, do you have plans to add mint color folders? Linux Mint-coloured folders have been added! Hi, Suru++ 20 is totally compatible with Linux Mint, as for mint colour, we have already green folders. Green colour is very close to light mint colour. But if you want pure dark mint colour, I will add it to my tasks. I also will plan to add Manjaro-coloured folders. Just noticed the script for changing color does not work for the latest version. 1 - Did you install and upgrade the latest version of Suru++ Folders? 2 - Did you rename the folder to Suru++? After upgrading script everything works. Thanks. Can you also add 20 version of Suru++ dark https://www.opendesktop.org/p/1245808/ ? Yes, once Suru++ 20 is totally solved, I will integrate Suru++ 20 in the Suru++ Dark and rename it to Suru++ 20 Dark. I also will upgrade the Suru++ Telinkrin, etc.